Is there a database of messages sent by my visitors? Visitor messages sent using our contact form are delivered via secure Amazon servers. Zotabox keeps a log of messages for 30 days to check for spam and fix bugs. Private messages are encrypted and can not be read by Zotabox. 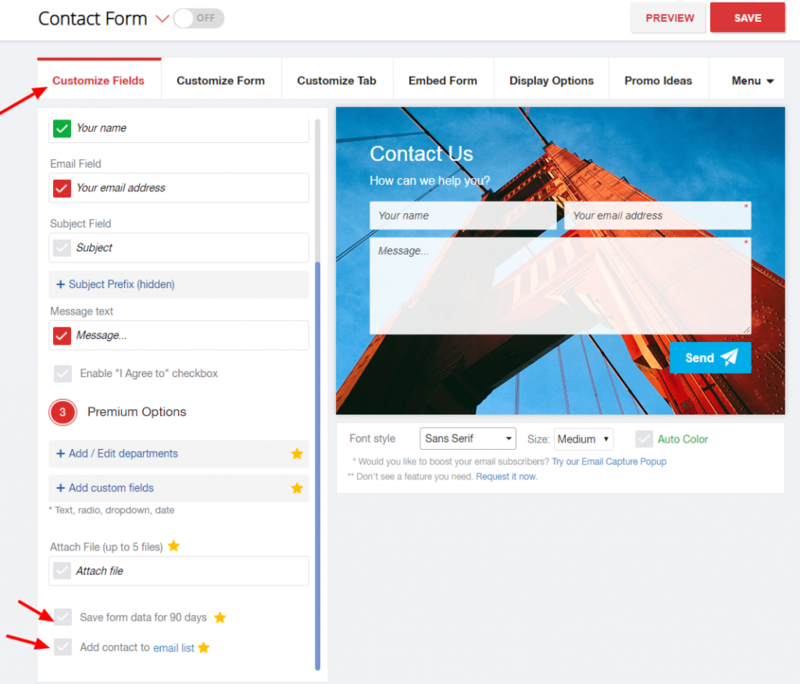 You can ‘collect’ and store your visitor’s email address by clicking the ‘add contact to email list’ box on the contact form setting page and retrieve your new subscribers emails on the dashboard stats. Merchants are responsible for complying with relevant privacy laws.